I just love this place! Mirror Lake, my second home in the warm months. I also love inviting all of you with me to share it, enjoy it. There should be a hint of color on the trees by September which only adds to the beauty of the lake. The camp will focus on the three areas most swimmers report that they feel challenged by: the kick, the catch, and breathing/sighting. Join me as we gather to share a love of swimming, learning, training body and mind. My aim is to make this a well rounded training camp for fitness swimmers, swimmers, and triathletes by adding in dry land strength, balance work, stretching, and mind training along with the daily swims. 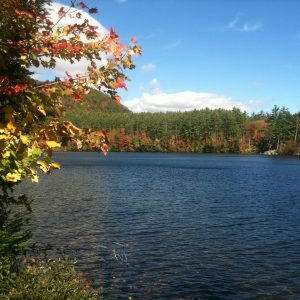 This camp is a mix of pool swims at the Mountain Club on Loon in Lincoln, NH, and open water swims in Mirror Lake. You will improve your technique, work core muscles needed for swimming and a strong two beat kick, understand the catch shape, all to gain more balance and speed when in the water. Oh, and my favorite is the field trip! Who: Open Water Swimmers, Triathletes, and Fitness Swimmers who are comfy in the water, want to improve, feel stronger, improve their awareness, learn, and have fun! *Sorry, but this is not a camp for swimmers who are fearful or uncomfortable in the water. Cost:$699 before June 25th, 2019. After June 25th, 2019, $799. Save cash, sign-up early! 3:00 p.m. To the pool at the Mtn club for videos and skills. 5:00 p.m. Afternoon swim-putting what we learn into practice. 11:00 a.m. Swim, core work. Noon: Wrap up and departure. You must bring a swim buoy bag for the open water swims and a tempo trainer (Finis is the one I use). Wetsuit-designed for swimming. A Yoga mat for dry land and stretching (towels tend to bunch up and are slippery). Towel for the lake and towel for showering. Two pairs of Goggles at least. Two bathing suits. Sneakers for walking. Meals and lodging are included at Hubbard Brook. But you may want to stay at one of the many local hotels, inns, aribnb etc. 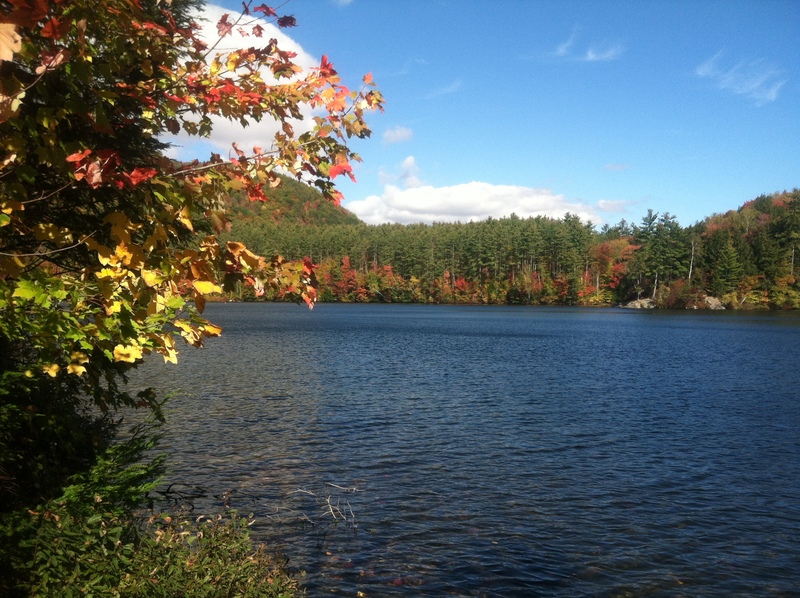 Open water practice will be at Mirror Lake, the house is on the lake, so we will swim from the shore. Mirror lake is about 13 miles from the Mountain Club on Loon, the pool we will use for vidoe and some skills work. The lake may be chilly in September, so I encourage you to bring a wetsuit (it can be windy and chilly this time of year). *Please, plan to stay for the entire camp. Stay for all of Monday, if you can, to wrap things up. This day is key, what to do next after camp ends. *Book early, if you are flying you can come into Boston which is 120 miles or Manchester airport which is 70 miles. * You can bike, run/walk on the roads from the house at the lake. If you want to rent a bike let me know. Or bring your own bike!